If you have suffered an injury, which was not your own fault you know that you may be entitled to compensation. It is also a time when you may still be suffering from the pain and other symptoms of the accident and possibly the financial hardship caused by the impact on your earnings during any incapacity. Alternatively it is possible that you are facing a personal injury claim against you, which is not covered by your Insurance. In either case it can be a very stressful time and you may be unsure about the legal rules and procedures and how to proceed. For this reason it is very important to seek the help of experienced Personal Injury Solicitors. We have over 30 years experience in pursuing and defending personal injury claims, including road traffic accidents, head injuries, back injuries, work related injuries, industrial diseases and more. We have particular experience in difficult cases either in respect of proving liability or in proving the injuries and losses caused by the accident. Matthew Wilkinson is not a ‘factory firm’. We do not deal with cases in bulk or large numbers of cases introduced or referred to us by an Insurer or other referrers. Our cases are not handled by numerous unqualified caseworkers, but by Solicitors. 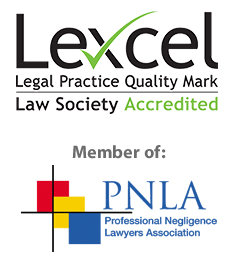 We deal with cases on an individual basis and provide expert advice and guidance in an attentive and friendly way. We often take on cases previously handled by other firms where insufficient attention has been given to the case or there has been negligence but the case can still be pursued. We are proud of our ability to help and gain the confidence of Clients in these circumstances and also in cases of some complexity or difficulty. We will do everything in our power to ensure that you get the settlement and satisfaction that you deserve. We understand the stress that it can cause to be dealing with a personal injury, which is why we work hard to keep you distant from anything that will add additional stress at this time in your life. If on the other hand you need our help to defend a claim you can contact us via telephone or email without obligation to ask any questions that you may have, address any concerns or to discuss your specific needs and the best way to move forward. If you decide to move forward with us we will provide you with a written estimate of the likely costs involved.